Groombridge Log available in stores! 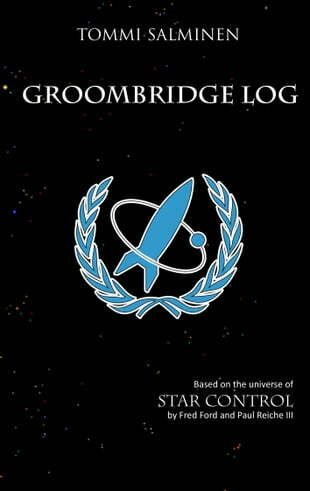 Exciting news for Tiberian our resident published author, his book Groombridge Log is now available from a variety of sources!, both as a Printed book (like the one were giving away for our contest) and as an eBook. I think it is a big achievement for him or any of us Star Control fans here. I invite you to go take a look and purchase a copy to support one of our own! and at the very least I suggest dropping him a friendly congrats for his hard work. "Congrats! on getting your booked finished (not a small feat around here) , produced, and now distributed & sold throughout the world, well done!. Also my public apologies for missing your PM on this, sorry you had to chase me!" Cheers fellow *Happy Campers* and remember feel free to share any news you might have. Re: Groombridge Log available in stores! April 2016 - The ebook is not available on Amazon. I found a free copy in PDF form on-line but I would rather purchase an ebook because the formatting is better in my e-reader and because I would like to monetarily support the author. I'm under the impression that Kindle books can be bought only from the US Amazon.